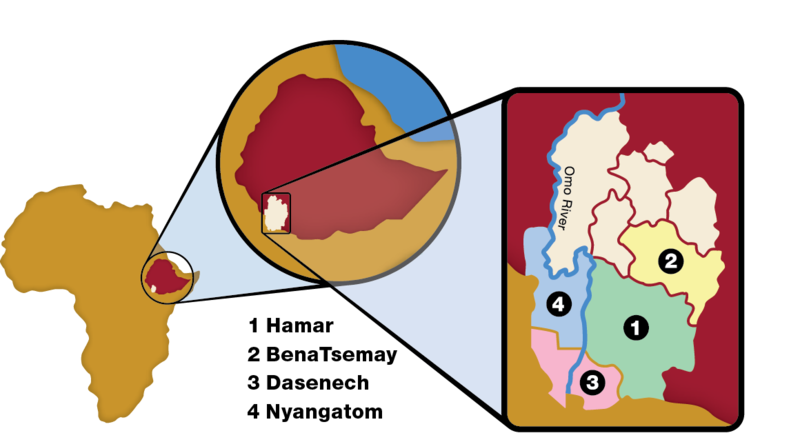 GTLI works in the horn of Africa, in the South Omo Zone of Ethiopia. The more than 700,000 pastoralists who live there have traditionally followed their livestock in search of grazing grounds. Today climate change and socioeconomic forces have dramatically reduced the lands available to them and altered their way of life. The South Omo Zone is in the southwest corner of Ethiopia, where the Omo River runs through Africa’s Great Rift Valley. 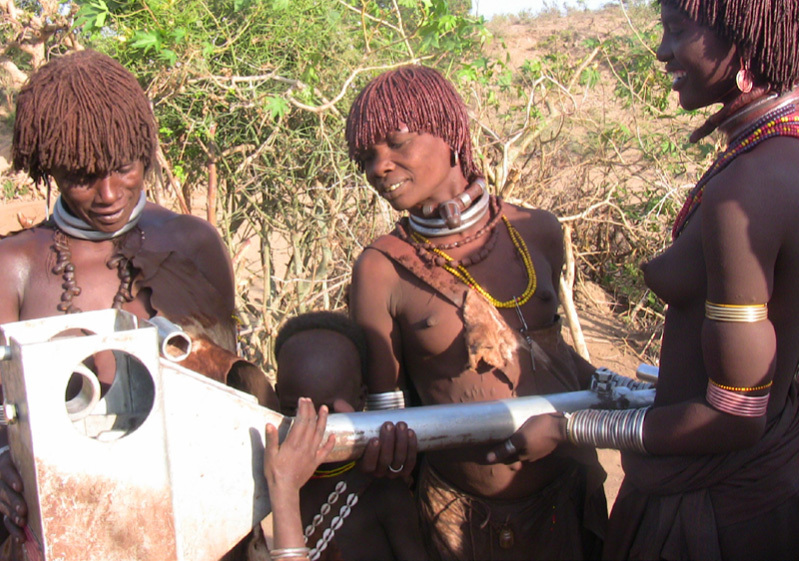 We work with four tribes: Hamar, BenaTsemay, Dasenech, and Nyangatom. 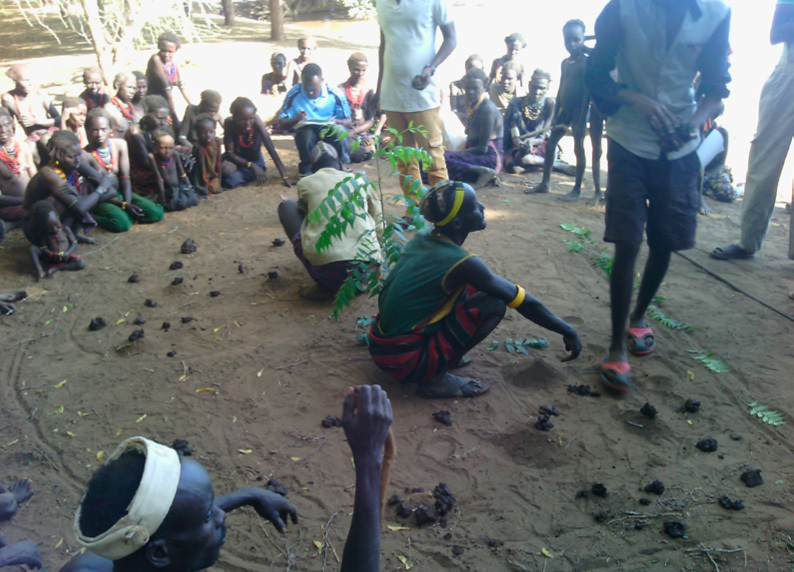 The South Omo Zone is recognized as the poorest of the poor areas in Ethiopia. It is home to 16 distinct tribes, each speaking its own language. Fewer than 1% of adults are literate; infant mortality is greater than 9%; and 92% of the people suffer from communicable diseases. Over 60% of the people do not have access to clean water within an hour’s walk. Our work encompasses projects in clean water, sanitation, reproductive health, literacy, livelihood, and environment. Our the goal is to help people build a healthy, prosperous, and sustainable future for their families and communities. Since 2009, GTLI projects have directly benefited more than 75,000 people with projects that improve health, livelihood, education, women’s empowerment, and child welfare. GTLI’s successful behavior change model, CBLA, has been recognized as implementing principles consistent with The World Bank Report World Development 2015: Mind, Society and Behavior at the grass-roots level. CBLA is a highly participatory, visual discovery process that works within the context of the community: paying attention to the way people think, the influence of society, and the individual’s choices and actions. Each individual is able to share their ideas while working in peer groups. Men, women, teen boys, and teen girls meet to discuss problems they are facing: why they constantly feel sick; why their children are not thriving; how they can improve their ability to feed their families. The wisdom of ages has protected these people for centuries but does not teach them how to adapt to climate and socioeconomic change. The community explores their traditional understanding to discover the variables under their control. For example, to understand why they have intestinal parasites, they map where they eat, where children play and where they defecate. To understand why some mothers have children who are not healthy or why new mothers and infants die, they create a problem tree to help identify the negative impact of insufficient nutrition, excess maternal workload, not enough time between births, etc. Modern scientific thinking is introduced in the context of their cultural norms. They discuss how this “new thinking” differs from the teaching of their ancestors and slowly “discover” what is needed to feel better or to have more healthy children. During the CBLA process, a small cadre of men and women who are new to community decision-making emerge as motivated agents of change. As similar projects roll out for their tribe, these early adopters facilitate CBLA in new communities, modeling new behaviors and motivating others to consider the new learning. Each community elects a Community Empowerment Committee (CECO) to ensure the Water Sanitation Committee keeps their water well operating by performing regular preventative maintenance and the water clean by monitoring the defecation-free zone; the donkey ambulance caretaker is ready to provide transportation service to the nearest health facility; and the various cooperatives and/or producer associations are properly caring for their new assets. The CECO eagerly assumes the responsibility to manage the community’s new resources and to monitor the community’s supporting new behavior.